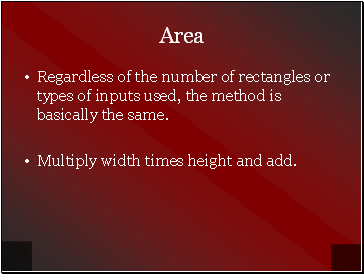 Regardless of the number of rectangles or types of inputs used, the method is basically the same. 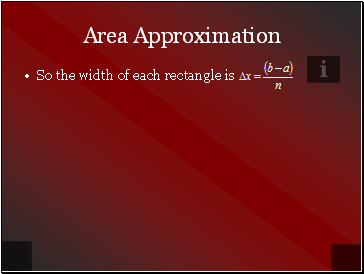 Multiply width times height and add. 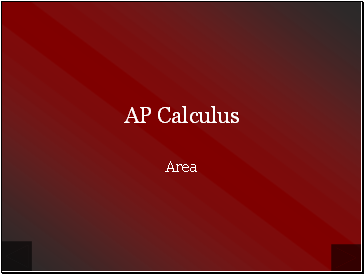 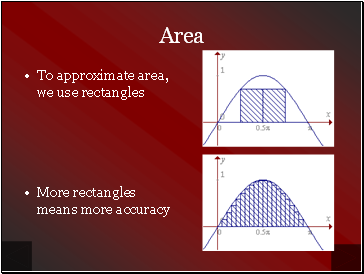 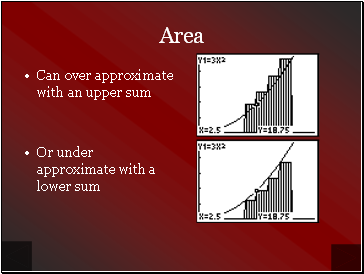 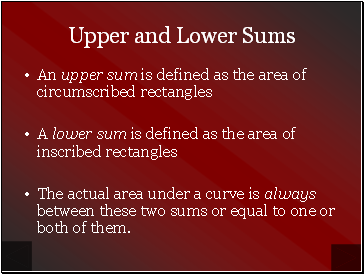 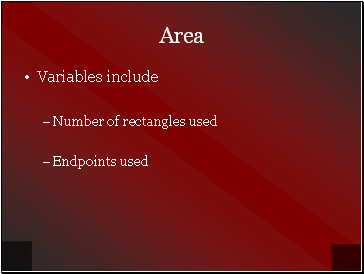 The actual area under a curve is always between these two sums or equal to one or both of them. 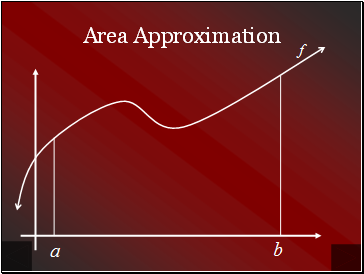 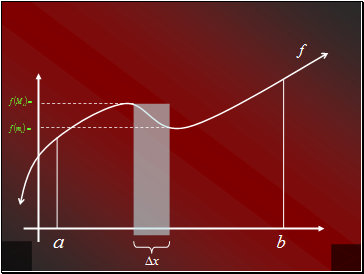 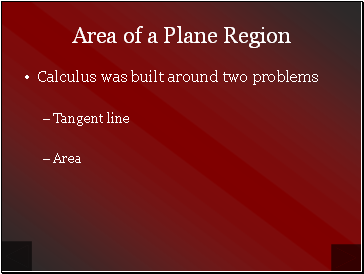 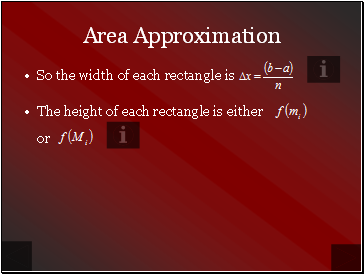 We wish to approximate the area under a curve f from a to b. 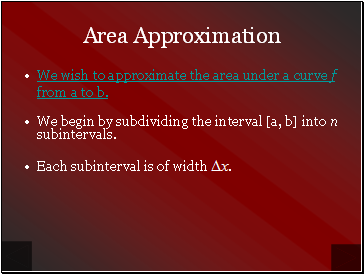 We begin by subdividing the interval [a, b] into n subintervals. 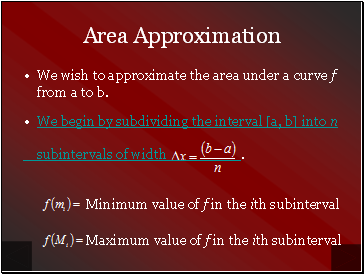 Each subinterval is of width .